I stopped in the Macy’s State Street store (Marshall Field’s to you die hards) and found it was spring flower week! They had a spectacular display. I only had my iPhone so it was hard to capture. 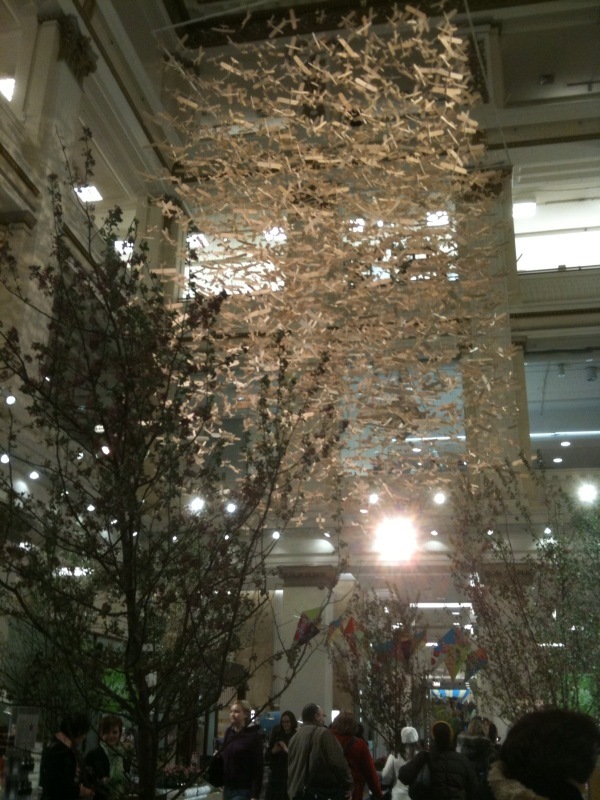 There were hundreds of little wooden birds hanging from the ceiling and it was really breathtaking. I might go back next week when the full display kicks in with my camera. 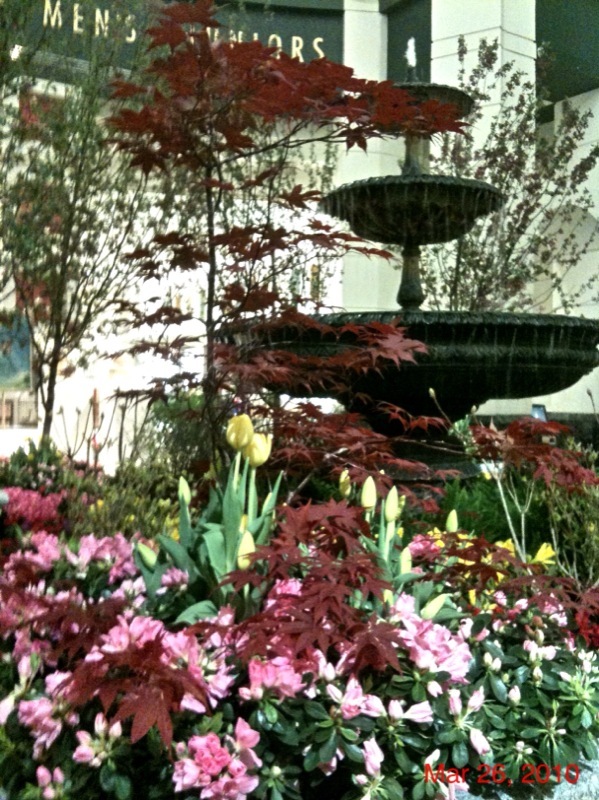 The fountain–already a lovely piece–is outfitted with tons of flowers. The place was filled with gorgeous flowers and plants. If you are nearby you should make an effort to stop it. Love the new look of your blog! VERY tempted to do WordPress ,myself! So pretty! How nice that you get to work close to sights like this.